← Over 2.4 Million CthulhuWho1 Views! The Advance Uncorrected Proofs Reading Copy was wonderful, but the just-arrived copy of the actual hardcover First Edition is even far more beautiful with its color inks, and its over 280 full-color images and photos. This is the Book of the Year for all Lovecraftians! As of today, 06-August-2014, this must-have 852 page massive volume is only $25.27 at Amazon; and is a collector’s bargain for this price. I accidentally ordered two copies (one in February, and one in July), but I am now very glad to have two copies, one for safe-keeping, and one to wear out from handling and showing off to other Lovecraftians! Coming Soon to a Book Shelf Near You! 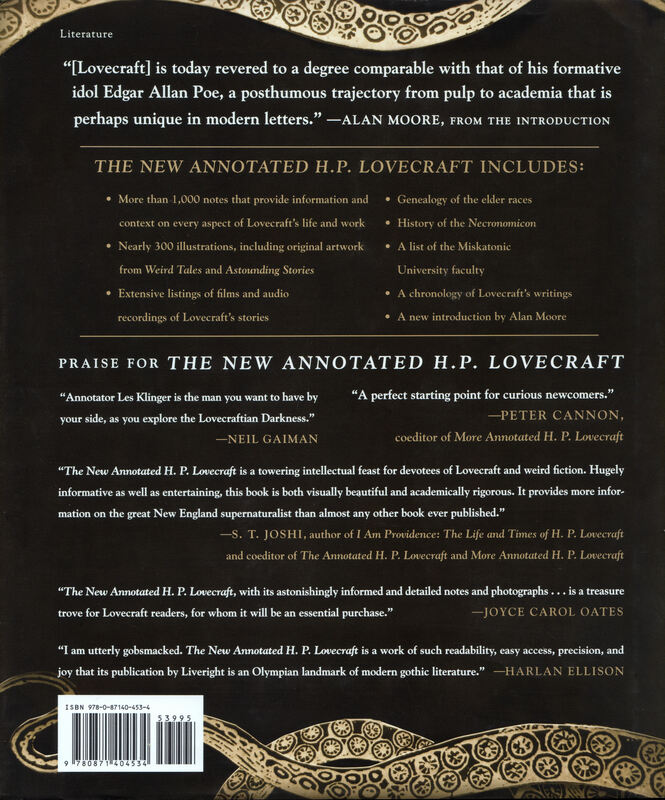 The New Annotated H. P. Lovecraft, edited by Leslie S. Klinger, with a hardcover release date of Monday, 13-October-2014, is a must-have treat for every Lovecraftian! If you are reading this before the release date, get over to Amazon where you can pre-order the hardcover for $28.03 (retail $39.95); and you can also pre-order the Kindle edition (which is being released first on 06-October-2014) for only $19.24. Photos and Illustrations by Donovan Loucks, Joseph Morales, Karl Beech, Jason C. Eckhardt, and Yours Truly, Will Hart (aka CthulhuWho1). My personal contributions to this volume are the Will Hart photos illustrating The Haunter of the Dark, The Call of Cthulhu, and The Case of Charles Dexter Ward; and I was very happy to be invited to be part of this beautiful project! 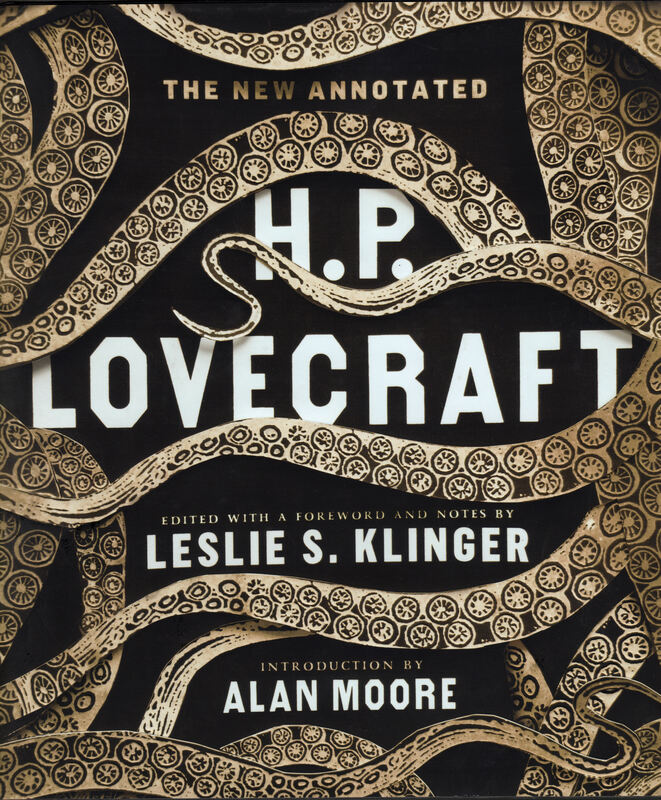 As a follow-up to his best-selling The New Annotated Sherlock Holmes, Leslie S. Klinger has selected in this new collection twenty-two of Lovecraft’s best, most chilling “Arkham” tales; including “The Call of Cthulhu,” At the Mountains of Madness, “The Whisperer in Darkness,” “The Shadow Over Innsmouth,” “The Colour Out of Space,” and others. 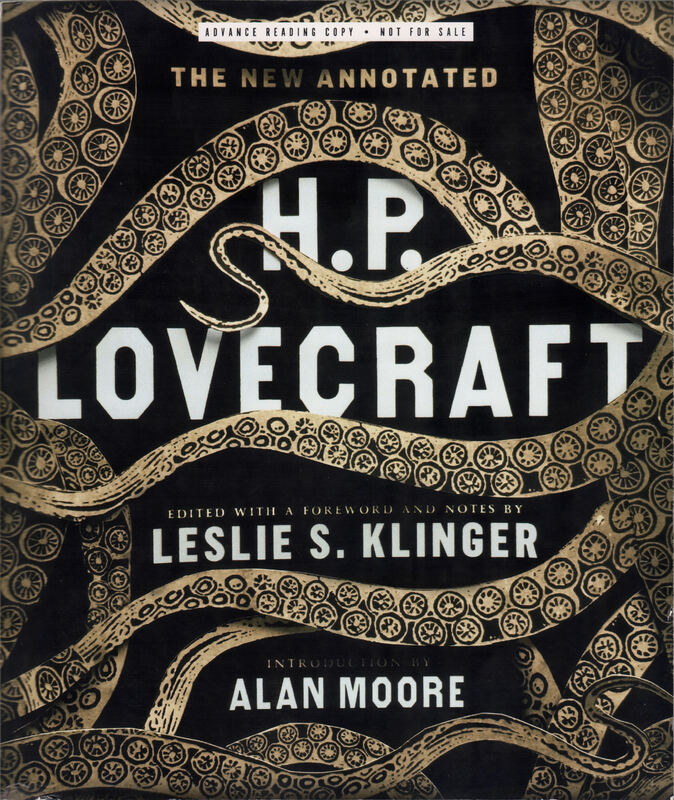 With nearly 300 illustrations, including full-color reproductions of the original artwork and covers from Weird Tales and Astounding Stories, plus, more than 1,000 annotations, and 280 color illustrations. Leslie S. Klinger is one of the world’s foremost authorities on Sherlock Holmes and Dracula. He is the editor of the three-volume collection of the short stories and novels, The New Annotated Sherlock Holmes, published by W. W. Norton in 2004 and 2005, winner of the Edgar Award for Best Critical/Biographical Work. The New Annotated Dracula, published by W. W. Norton in 2008, also offers an in-depth examination of Bram Stoker’s haunting classic and its historical context; and it received a starred review in Publishers’ Weekly. This entry was posted in 1920's, 1930's, Abdul Alhazred, Advance Reading Copy, Alan Moore, Arkham, At the Mountains of Madness, Beyond the Wall of Sleep, Book, Books, Call of Cthulhu, Colour Out Of Space, Cthulhu, Cthulhu Mythos, CthulhuWho1, Dagon, Dreams in the Witch-house, Dunwich Horror, Festival, Haunter of the Dark, Herbert West: Re-animator, Hound, Leslie S. Klinger, Lovecraft, Lovecraftian, Nameless City, Nyarlathotep, Picture in the House, Preview, Review, Shadow Out of Time, Shadow Over Innsmouth, Silver Key, Statement of Randolph Carter, Thing on the Doorstep, Unnamable, Unnamable, The, Whisperer in Darkness, Will Hart, William (Will) Hart, William E. Hart and tagged 1920's, 1930's, Abdul Alhazred, Advance Reading Copy, Alan Moore, Arkham, At The Mountains of Madness, Beyond the Wall of Sleep, Book, Books, Call of Cthulhu, Colour Out Of Space, Cthulhu, Cthulhu Mythos, CthulhuWho1, Dagon, Dreams in the Witch-house, Dunwich Horror, Festival, H. P. Lovecraft, Hart, Haunter of the Dark, Herbert West: Re-animator, Hound, Leslie S. Klinger, Lovecraft, Lovecraftian, Nameless City, Nyarlathotep, Picture in the House, Preview, Review, Shadow Out of Time, Shadow Over Innsmouth, Silver Key, Statement of Randolph Carter, The, Thing on the Doorstep, Unnamable, Whisperer in Darkness, Will Hart, William (Will) Hart, William E. Hart, William Hart. Bookmark the permalink. 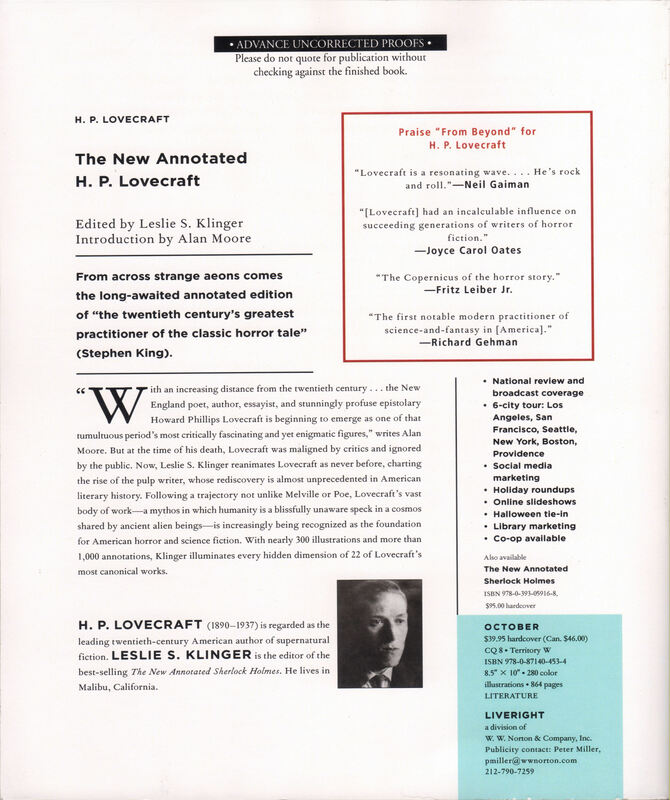 1 Response to The New Annotated H. P. Lovecraft, edited by Leslie S. Klinger Has Arrived!